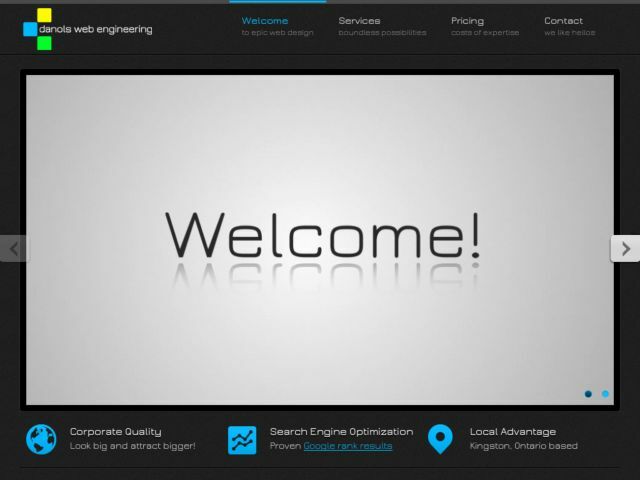 Developed by Danols Web Engineering for itself to target Kignston, Ontario based businesses. Overall feel consists of a freelance portfolio business page. Features back end custom CMS, tailored invoice payment system based on django-merchant with AlertPay, PayPal and Google Checkout, integrated django-ckeditor (forked) and a extended flatpages allowing for context variables rendering. And last but not least major Search Engine Optimizations.